Before it was called "A New Hope" it was called "Star Wars!" Take a look back at the original trailer for Star Wars! Nineteen years after the formation of the Empire, Luke Skywalker is thrust into the struggle of the Rebel Alliance when he meets Obi-Wan Kenobi, who has lived for years in seclusion on the desert planet of Tatooine. 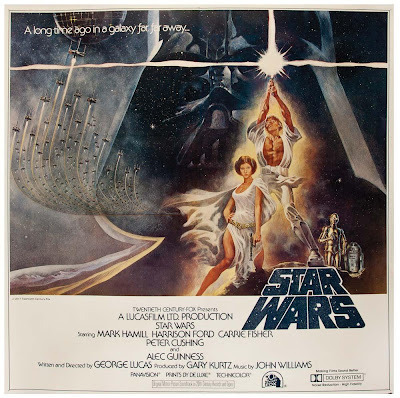 Obi-Wan begins Luke's Jedi training as Luke joins him on a daring mission to rescue the beautiful Rebel leader Princess Leia from the clutches of the evil Empire. Although Obi-Wan sacrifices himself in a lightsaber duel with Darth Vader, his former apprentice, Luke proves that the Force is with him by destroying the Empire's dreaded Death Star.